Haphazard Harmony Tableware by Maarten Baas. 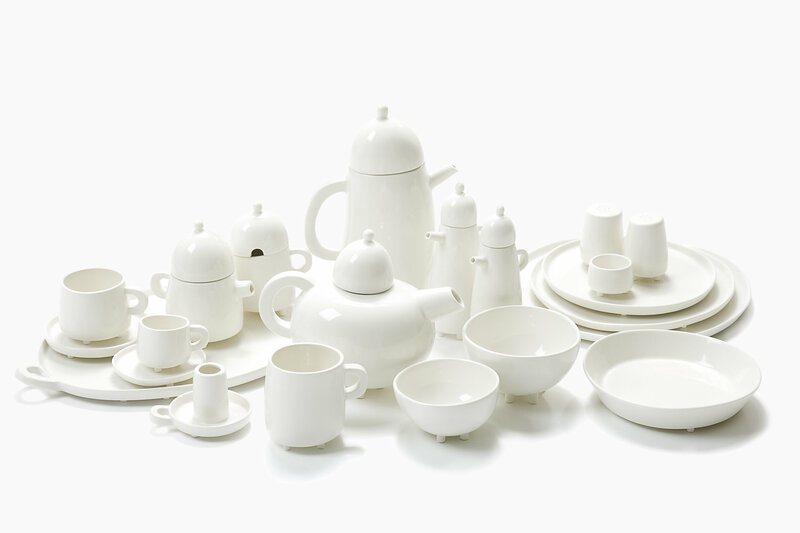 Haphazard Harmony is a full range of porcelain tableware designed by Maarten Baas. Based on intuitive sketches, the master model for each plate, cup, and vessel is shaped by hand. Baas’s open personality and spontaneous approach can be seen throughout the collection—which appear like a cast of characters on your tabletop, as if they are about to get up and walk around.